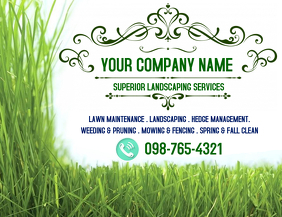 Promote your Lawn Care Services. 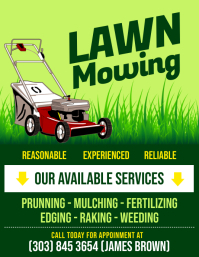 These posters are bound to build your business. 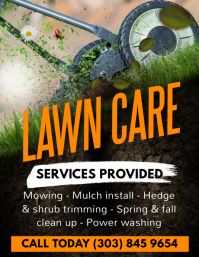 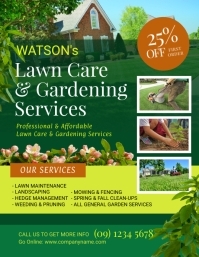 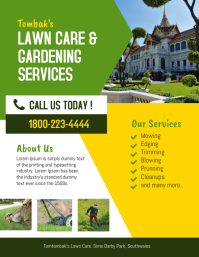 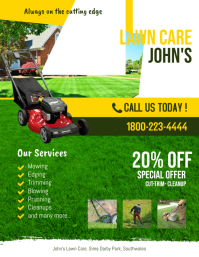 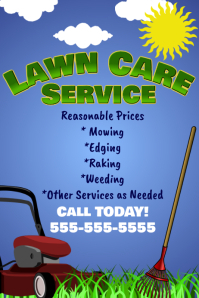 Lawn Service Flyer Templates in other sizes: Flyer (US Letter), Poster, Instagram Post, A4, Facebook Shared Image, Tabloid, Banner 2' × 6', Banner 2' × 8', Banner 4 × 6, Roll Up Banner 2' × 5', Roll Up Banner 3' × 6', Business Card, Logo, Postcard, Label, Tag, US Legal, A6, A5, A3, A2, A1, Instagram Story, Facebook Cover Photo, Snapchat Geofilter, WhatsApp Status, Twitter Post, Twitter Header, YouTube Channel Cover Photo, YouTube Thumbnail, Tumblr Banner, Tumblr Graphic, LinkedIn Background Image, LinkedIn Banner, LinkedIn Career Cover Photo, Google+ Cover Image, Pinterest Graphic, Etsy Banner, Facebook Ad, Wide Skyscraper, Medium Rectangle, Leaderboard, Large Rectangle, Album Cover, Book Cover, Lawn Care Business Flyers.